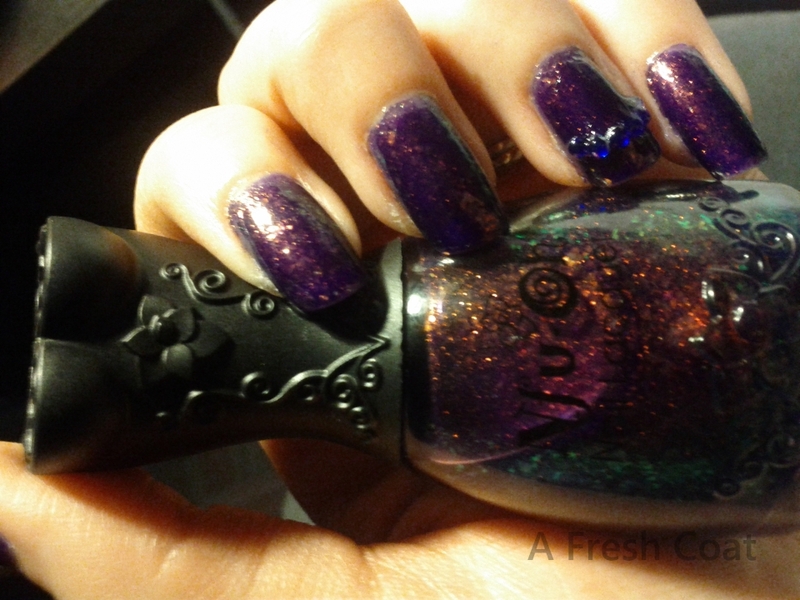 This is by far the most unique bottle of nail polish I have ever seen! The bottle is a dress and the top of it is a heart. 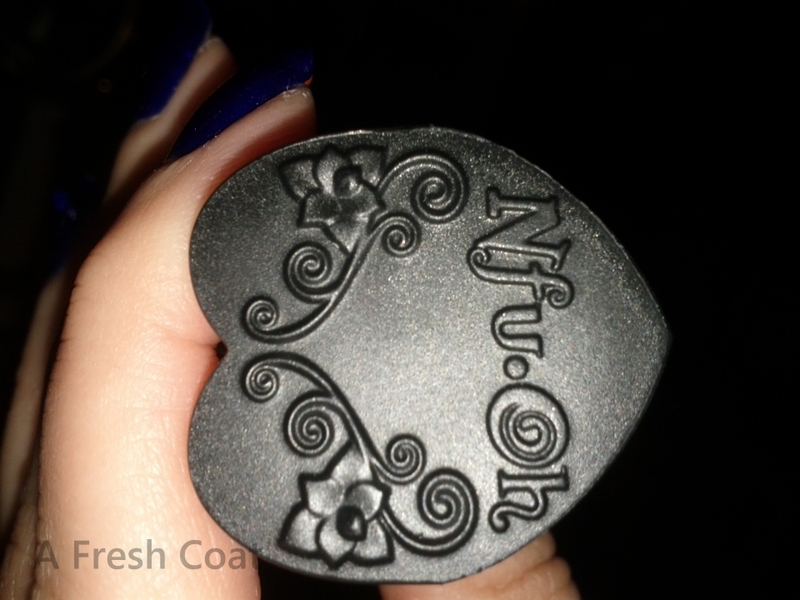 Nfu Oh have the most amazing bottles. The polish is also beautiful! 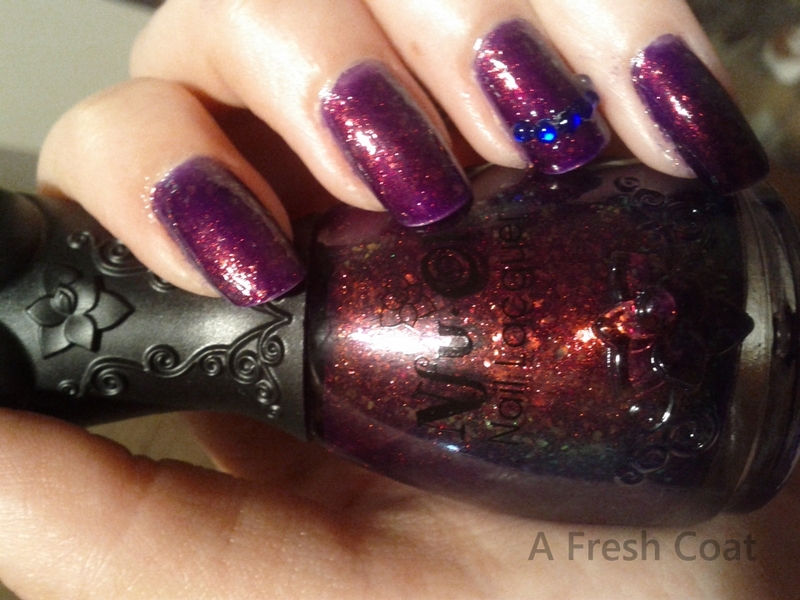 I have so many pictures, not only to show you all of the detail on the bottle, but to show the color of this polish – Nfu Oh 51 (Flakie). I can’t even show you really how it looks in the pictures. You really have to see the polish in person! Anyways, I tried to get the polish in different light just so you can somewhat see it. 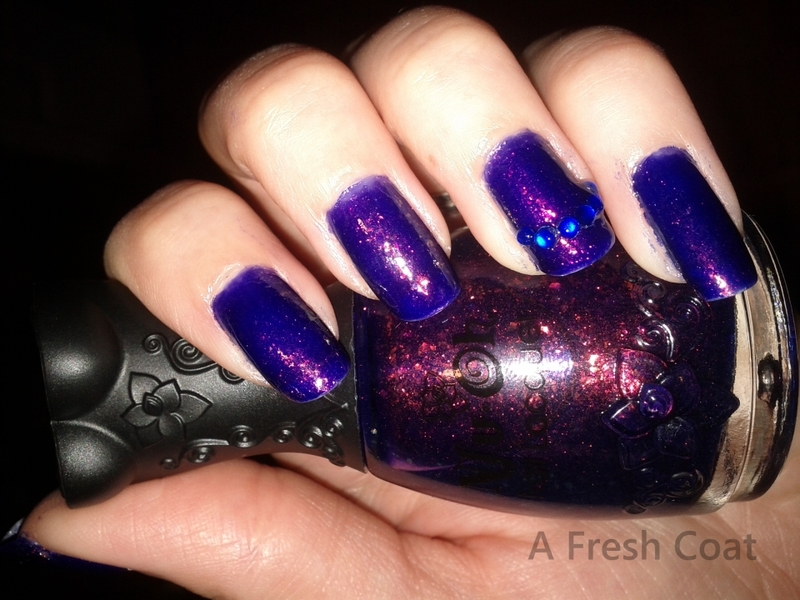 It’s crazy that some of the pictures don’t even seem like I am wearing the same polish…but I am!! The pictures are two coats with Seche Vite Dry Fast Top Coat. Enjoy!